Charlotte was an associate solicitor at BLM before she left to establish BC Legal. She trained at Barlow Robbins LLP in Guildford and qualified into its Personal Injury and Clinical Negligence team in 2004. She joined BLM’s London occupational disease team in February 2005 and was promoted to associate in October 2010. 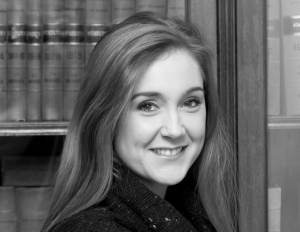 Charlotte was responsible for managing a noise-induced hearing loss team of four solicitors/paralegals. Charlotte specialises exclusively in occupational disease litigation and handles a considerable number of claims relating to many different diseases. She has a particular interest in noise-induced hearing loss and acoustic shock claims. She has run several notable cases to trial on this subject setting a precedent for future handling in these areas and was also involved in the Supreme Court case of Baker v Quantum Clothing Group Ltd & Ors [2011 UKSC 17]. Charlotte handles a variety of claims for several leading UK insurers, including those operating in the London market and has also acted for local authorities and corporate clients directly. Charlotte regularly runs both internal and external training courses both for in-house staff, insurance companies and corporate clients.